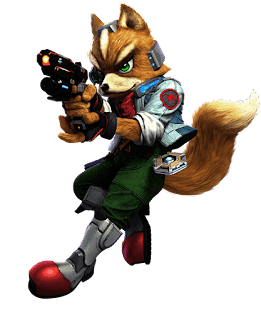 Possibly the most iconic character in Smash, Fox has been around since the beginning, dominating opposing characters with his incredible skill and powerful Up Smash. He's since been dropped for more interesting characters, but some players fell in love from N64 and never let him go. In Ultimate he's still plenty strong, and his playstyle hasn't changed much from his earlier days. 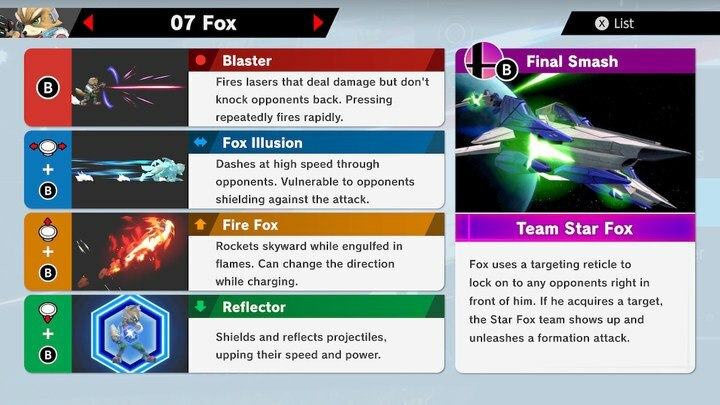 While it might not look like anything special, Fox's Up Air can combo with itself to devastating effect. If he gets the opportunity to get underneath an enemy character, punishing them into the heavens and beyond is his signature move. Up Smash has a wide enough hit box that you can hit characters from below most platforms. He can overwhelm his opponents with his quick movements, and his specials don't leave him open for counterattacks. His costume and voice have been redone to match his appearance in Star Fox Zero. This Fox is brand new! "Come on!" Interested in more information on this character? Check out our other articles on Fox or comment below for what you'd like to see!